Having advertised the vacancy here on the website, four excellent candidates put themselves forward for co-option. 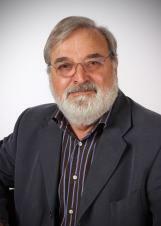 At the meeting last night Councillors chose Mr Bernie Tiller to be the new councillor for the East Ward. The lease for The Old Fire Station Cafe has been signed by the Town Mayor with our tenant, Sarah Myers, due to open her new venture on Saturday 18th February. The Town Council wishes her every success with the cafe, and we are sure that many of our residents will enjoy sampling her delicious food or simply having a coffee in the garden while watching their children playing in the park. Need to get rid of your old Christmas tree? 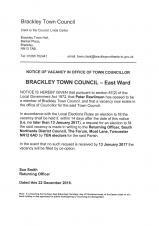 Owing to a resignation, there is now a vacancy for a Councillor on the Town Council. 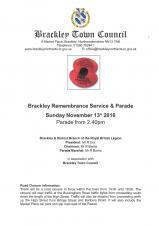 If you are interested, or need more information, please contact the Town Clerk, Mrs Linda Carter. 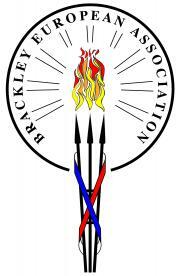 Brackley Town Council has accepted the proposal from Sarah Myers of 'The Mixing Bowl', for the café premises at the Old Fire Station. The lease will be signed early in the new year and Members of the Council look forward to working with Sarah to achieve a successful venture. Thank you to those residents who took the time to comment. The Council has prepared a draft budget for 2017-2018 which shows an increase for the average household (Band D) of £4.98 per year. 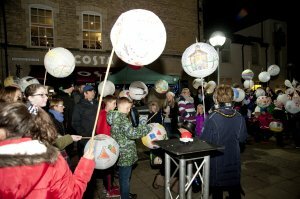 The first Brackley Christmas Lantern Parade added to this year's Christmas Lights switch-on over the weekend, with 200+ local children lead by Town Mayor Cllr Fiona Baker parading from Brackley Methodist Church to Burgess Square. 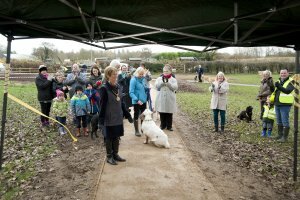 On Saturday 26th November, Town Mayor Councillor Fiona Baker officially opened recently completed pathway works surrounding St. James Lake, Hinton Road, Brackley. In addition to the pathway a new picnic area has been installed with benches and new information boards will be installed shortly highlighting flora and fauna to be found in and around the surrounding area. 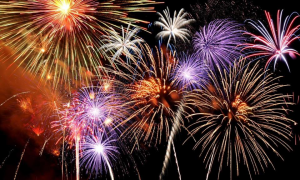 We are pleased to announce that, after a two-year absence, Brackley will once again have a Town Firework Display this year. The event will take place on Saturday 5th November at St. John's Playing Fields, Magdalen College School.